We can easily differentiate a car person from the rest of the driving population from the condition of their wheels. RBL's Foaming Wheel Cleaner eats away at tough and hard to get brake dust, leaving a brilliant finish. 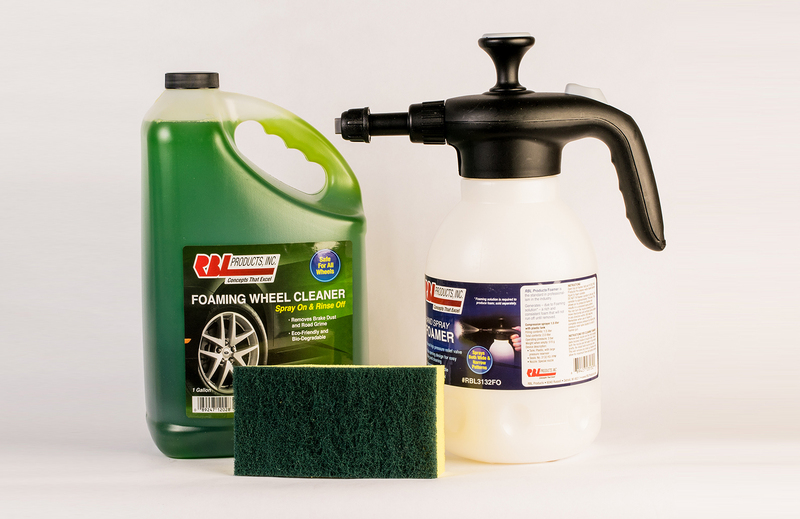 Our Wheel Cleaner Kit comes with our Foamer Sprayer, 1 gallon of Foaming Wheel Cleaner, and our Scuff Sponge.